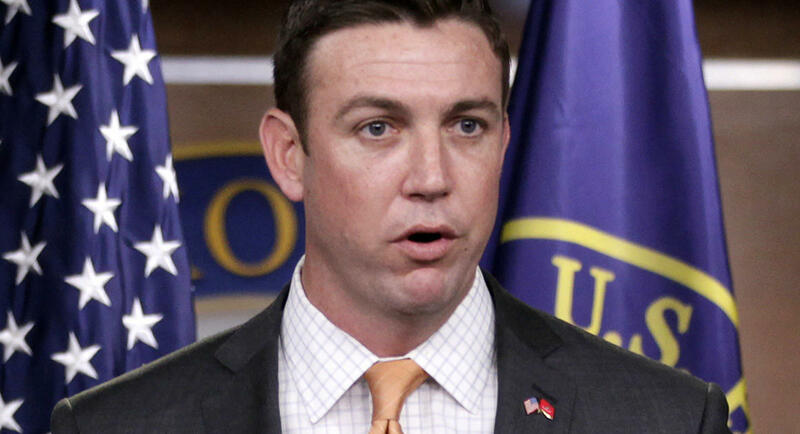 Rep. Duncan Hunter and his wife, Margaret Hunter, were indicted by a federal grand jury Tuesday on charges of using $250,000 worth of campaign funds for personal use, as well as filing false reports to the Federal Election Commission. Hunter, a Republican from California, is accused of using campaign finances inappropriately several times between 2009 and 2016. The funds were allegedly used for family vacations to locations such as Hawaii and Italy, as well as more mundane expenses such as dental work and school tuition. The Justice Department also alleges that the Hunters used tens of thousands of dollars for smaller expenses such as fast food and video games. House Speaker Paul Ryan said Hunter will be removed from his committee assignments after being indicted on charges alleging he misused more than $250,000 in campaign funds. Ryan said in a statement Tuesday the charges against Hunter, a Republican, are "deeply serious." Federal prosecutors accused Hunter and his wife of using campaign funds to finance family trips and other expenses and then attempted to disguise the illegal spending in federal records. Earlier this month, Hunter's lawyer wrote to Deputy Attorney General Rod J. Rosenstein, saying there was "politically motivated" pressure to wrap up the investigation. House Democratic Leader Nancy Pelosi said the charges were evidence of a "rampant culture of corruption" among Republicans in Washington. She said Ryan should call on Hunter to resign and "affirm that no one is above the law." Hunter obscured the real usage of the campaign expenses with false filings to the Federal Election Commission, according to the Justice Department. The criminal investigation into Hunter and his wife began in June 2016. The two are charged on counts of conspiracy, wire fraud, falsification of records, prohibited use of campaign funds, and aiding and abetting. Hunter is the second congressman to be indicted this month: New York Rep. Chris Collins was indicted on insider trading charges earlier in August. Like Collins, Hunter was one of the earliest supporters of President Donald Trump. The news about Hunter's indictment was released on the same day that former Trump campaign chairman Paul Manafort was found guilty on eight counts, and former Trump lawyer Michael Cohen pleaded guilty on eight counts. Grace Segers contributed to this report.